Thrilled to report that S326 HAS PASSSED THE SENATE this afternoon by a 42-1 vote and is being sent to the Governor for his signature. When signed, it is set to become law effective January 1, 2017. This is an enormous victory for the NC apartment industry, a culmination of nearly 5 years of effort – enacting laws that will help protect our industry from invasive and overreaching inspection and registration schemes and restore a reasonable balance between the interests of landlords and cities/counties moving forward. Many thanks to those of you who reached out to your Representatives and Senators this week; based on reports received from Colleen and her team, several reported back that they had heard from you, and that your information had a strong impact on the final outcome. On that note, AANC and our industry owes a huge thank you to AANC Legislative Counsel Colleen Kochanek and her team, as well as industry allies such as the NC Association of Realtors, for their tireless and creative efforts in securing necessary stakeholders and finding ways to resurrect the original H530 bill in the closing week of the legislative session and have it reborn as the now-passed S326. We’ll have more about what this means in follow up posts. Ever since last summer’s U.S. Supreme Court decision in Texas Dept. of Housing and Community Affairs v. Inclusive Communities Project and the Court’s formal endorsement of a disparate impact fair housing standard, industry watchers have tried to anticipate what may be the next Fair Housing shoe to drop for the housing industry. This appears to be it. Based on the information contained in the article and in HUD’s Guidance (see link below), it would appear that criminal screening standards may, by necessity, need to become more nuanced to be viewed as fair housing compliant. A full copy of the HUD Guidance, released this morning, can be found here: http://portal.hud.gov/hudportal/documents/huddoc?id=HUD_OGCGuidAppFHAStandCR.pdf . Although the specific interest(s) that underlie a criminal history policy or practice will no doubt vary from case to case, some landlords and property managers have asserted the protection of other residents and their property as the reason for such policies or practices. Ensuring resident safety and protecting property are often considered to be among the fundamental responsibilities of a housing provider, and courts may consider such interests to be both substantial and legitimate, assuming they are the actual reasons for the policy or practice. A housing provider must, however, be able to prove through reliable evidence that its policy or practice of making housing decisions based on criminal history actually assists in protecting resident safety and/or property. Bald assertions based on generalizations or stereotypes that any individual with an arrest or conviction record poses a greater risk than any individual without such a record are not sufficient to satisfy this burden . . . . In most instances, a record of conviction (as opposed to an arrest) will serve as sufficient evidence to prove that an individual engaged in criminal conduct. But housing providers that apply a policy or practice that excludes persons with prior convictions must still be able to prove that such policy or practice is necessary to achieve a substantial, legitimate, nondiscriminatory interest. A housing provider that imposes a blanket prohibition on any person with any conviction record – no matter when the conviction occurred, what the underlying conduct entailed, or what the convicted person has done since then – will be unable to meet this burden . . . .
A housing provider with a more tailored policy or practice that excludes individuals with only certain types of convictions must still prove that its policy is necessary to serve a “substantial, legitimate, nondiscriminatory interest.” To do this, a housing provider must show that its policy accurately distinguishes between criminal conduct that indicates a demonstrable risk to resident safety and/or property and criminal conduct that does not. A policy or practice that fails to take into account the nature and severity of an individual’s conviction is unlikely to satisfy this standard. 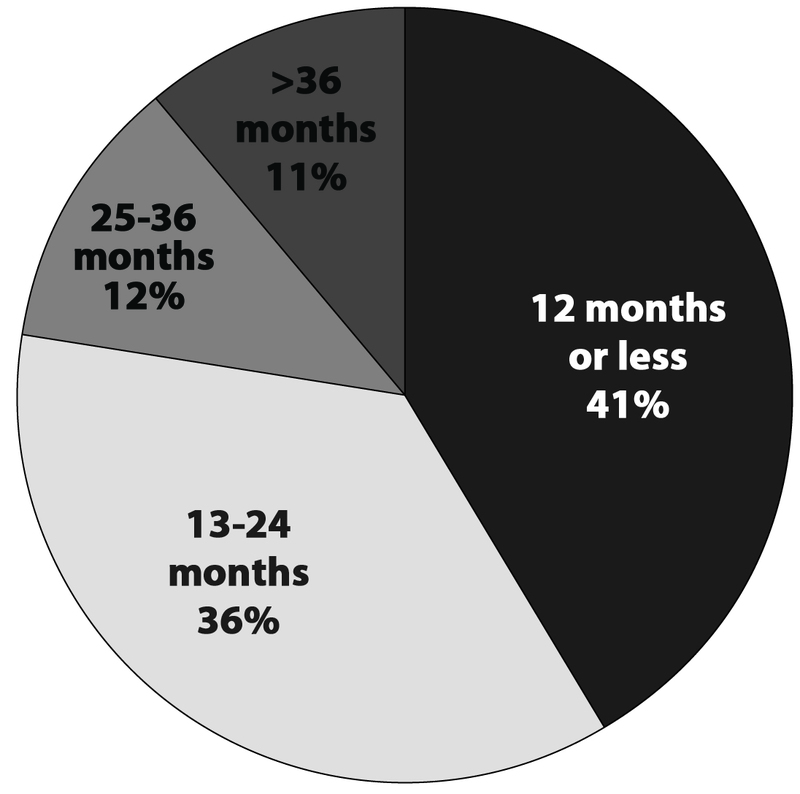 Similarly, a policy or practice that does not consider the amount of time that has passed since the criminal conduct occurred is unlikely to satisfy this standard, especially in light of criminological research showing that, over time, the likelihood that a person with a prior criminal record will engage in additional criminal conduct decreases until it approximates the likelihood that a person with no criminal history will commit an offense . . . . Section 807(b)(4) of the Fair Housing Act provides that the Act does not prohibit “conduct against a person because such person has been convicted … of the illegal manufacture or distribution of a controlled substance as defined in section 102 of the Controlled Substances Act (21 U.S.C. 802).”37 Accordingly, a housing provider will not be liable under the Act for excluding individuals because they have been convicted of one or more of the specified drug crimes, regardless of any discriminatory effect that may result from such a policy . . .
Because of widespread racial and ethnic disparities in the U.S. criminal justice system, criminal history-based restrictions on access to housing are likely disproportionately to burden African Americans and Hispanics. While the Act does not prohibit housing providers from appropriately considering criminal history information when making housing decisions, arbitrary and overbroad criminal history-related bans are likely to lack a legally sufficient justification. Thus, a discriminatory effect resulting from a policy or practice that denies housing to anyone with a prior arrest or any kind of criminal conviction cannot be justified, and therefore such a practice would violate the Fair Housing Act. At first blush, it would appear that this Guidance practically mandates that the housing providers consider adopting much more nuanced criminal screening policies, ones that take many different factors into account, as this HUD Guidance effectively renders blanket denials for criminal history a thing of the past – with the specific exception of a conviction involving the manufacture or distribution of illegal drugs. At a minimum, this Guidance should be considered required reading by both industry professionals and their respective legal counsel for Fair Housing Compliance and risk assessments moving forward. Below are some pictures from PTAA’s day on Capitol Hill. Update 7/22/15, 12:20 p.m.: We just received word that the Governor has signed the protest petition repeal, so it is now law. In an 82-28 vote the North Carolina House today (7/15/15) voted to concur with the Senate’s final version of H201, a bill that eliminates protest petitions in North Carolina. It will now go to the Governor who has already indicated he will sign it. The bill takes effect August 1, 2015 and affects rezonings initiated on or after that date. Protest Petitions in North Carolina city and town re-zoning cases raise the bar to a Super-Majority 3/4 vote requirement by City Councils to overcome. This seems unreasonable given how easy it is for a Protest Petition to be triggered. Think about how common it is for neighbors to disfavor a proposed land use change (Not in My Back Yard). This currently results in an inordinate empowerment on local land use decisions placed in the hands of a few. Zoning Protest Petitions are favored by a number of groups in North Carolina cities who stand to gain by the higher-level of negotiations/concessions/exactions that the Super-Majority vote requires of the land developer: neighborhood groups, planning staff, commercial property owners, and re-zoning consultants. All have vested interests in the filing of a protest petition and delaying, adding cost to, or killing a development proposal. The approval rate for projects subject to a protest petition is 52 percent, compared to a 76 percent approval rate for rezoning petitions overall – according to the UNC School of Government. In H201, A simple majority City Council vote would instead be needed to defeat a re-zoning proposal; meaning that all proposals would be fully vetted before the elected officials take a vote, with a majority deciding. We know of no other Super-Majority vote requirement in municipal administration; even a City Council’s vote on their Fiscal Year Budget only requires a simple majority vote. Importantly, the majority opinion highlighted limitations on disparate impact liability to allow “practical business choices and profit-related decisions that sustain the free-enterprise system.” Leeway must be given to housing providers to explain the validity of their policies. Further, a disparate impact claim is not demonstrated by statistical disparity alone. A claim must show that a challenged practice actually caused a disparate impact on a protected group, and the availability of an “alternative practice that has less disparate impact” to serve legitimate business needs. We are currently conducting a detailed analysis of the Supreme Court’s decision and will continue to seek further clarification on disparate impact liability. The Apartment Association of North Carolina is now accepting applications for the Larry Cranford Scholarship, which can be used to pay for any one of NAA’s designations. Those include National Apartment Leasing Professional (NALP), Certified Apartment Manager (CAM), Certified Apartment Portfolio Supervisor (CAPS), Certificate for Apartment Maintenance Technicians (CAMT) and Certified Apartment Supplier (CAS). Deadline for submissions is May 8, 2015 and you can apply by filling out and returning the application which you can find at this link: 2015 Larry Cranford Memorial Scholarship. 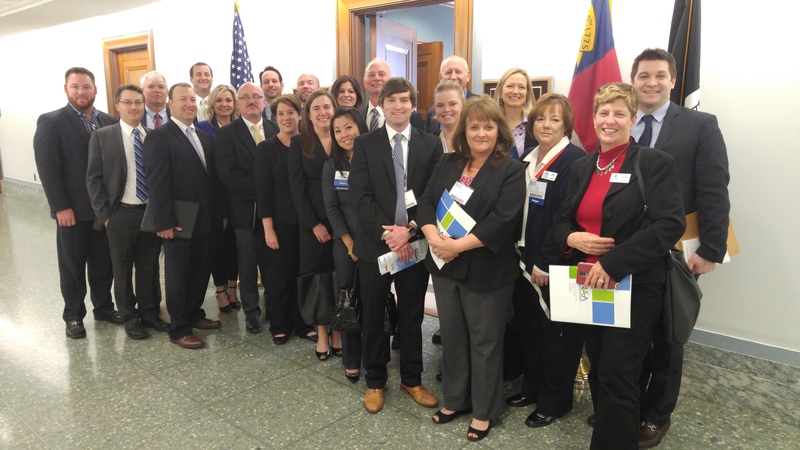 The mission of the Scholarship is to foster the professional apartment industry education and career development potential of selected up-and-coming multi-family rental housing industry leaders in North Carolina. It is named after long-time North Carolina apartment leader Larry Cranford. Larry was loved by many for his folksy ways, his absolute commitment to industry education, and his people skills. Larry taught apartment management and maintenance throughout North Carolina for some 25 years. Larry was the AANC President from 1996-1998. 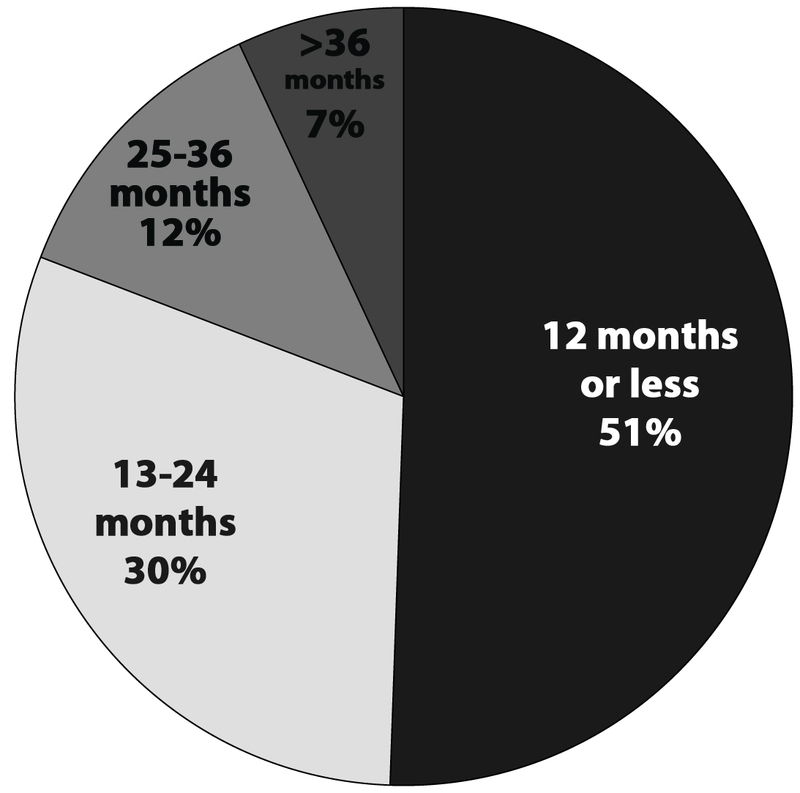 The Apartment Association of North Carolina recently collected statewide data about the duration of stay for apartment resident households. Responses were received from 92 apartment communities representing 18,000 apartment dwellings and comprised of a good sample by geography, community age, community size, and rental rate level. The formula to determine Annual Property Turnover Rate was # of Households Moved Out divided by # of Apartments. Duke Energy Carolinas will charge a $15 non-refundable connect fee for all metered residential and non-residential customers each time a new account is established beginning September 30. This fee will include temporary and permanent service applications, as well as Revert to Owner customers. There is a cost to Duke Energy to establish an electric service account; this cost covers field activity to install, connect or read the meter, and the administrative work for creating a new account. Currently, this cost is passed on to all customers. By charging a connection fee only to those customers who establish a new account, Duke Energy is working to keep the overall cost lower for all customers. For more information, customers can log in their My Duke Energy Portal to learn more. Duke Energy also continues to offer turnkey lighting service and equipment, rebates and incentives, and other tools and resources at builders’ and property managers’ fingertips at www.duke-energy.com/builders-developers. Our members were startled this week to learn of a new, unannounced Duke Energy Connect Fee of $15 per electricity service account. Duke Energy’s staff related that this was part of the Settlement with NCUC to hold the line on rate hikes by shifting these connection costs to the users as a user fee. I just want to make sure that you and the Public Staff knew about this; our members obviously did not. See the note below from Duke Energy’s Customer Experience Leader, John Lincoln. We would argue that this Connect Fee is at least somewhat regressive, because of the socio-economic characteristics and relative residential mobility of the population asked to pay it. Yes, the Public Staff knew about this. It was part of the Company’s prefiled testimony, available to the public well before the hearing. Our witness felt the original change proposed by Duke could have been applied in an unduly broad manner. We recommended narrower wording to more closely limit the charge to instances where it reflected a cost initiated by the customer. Duke accepted our recommendation as part of the settlement. The Public Staff did not contest the amount of the proposed charge (as opposed to its applicability) because it appeared to be based on actual costs incurred by the Company. Without Duke’s new charge, the cost of new service connections would be paid by all customers. This would be less noticeable on a per customer basis, but result in customers who are not causing the cost to be paying for it. In the Public Staff’s view, it is reasonable to have the customers responsible for new service connection costs to pay those costs rather than for other customers to subsidize them. To the extent that people who change their electric service more often are lower income, this would impact them. Personally speaking, I am concerned about any additional financial burden on low income people. At the same time, our ratemaking process is largely oriented toward charging utility costs to the customers responsible for those costs. With narrow exceptions the Public Staff does not recommend ratemaking for purposes of reallocating cost responsibility away from low income customers. However, in this regard, I would note that the Public Staff was able to achieve a very unusual $10 million donation from Duke shareholders toward low income energy assistance as part of the settlement in this case. We would be glad to discuss this further if you wish. We will continue to update you as we continue to learn more about this issue. The new law goes into effect September 1, 2013. If you’d like to read the full text of the bill you can find it here.